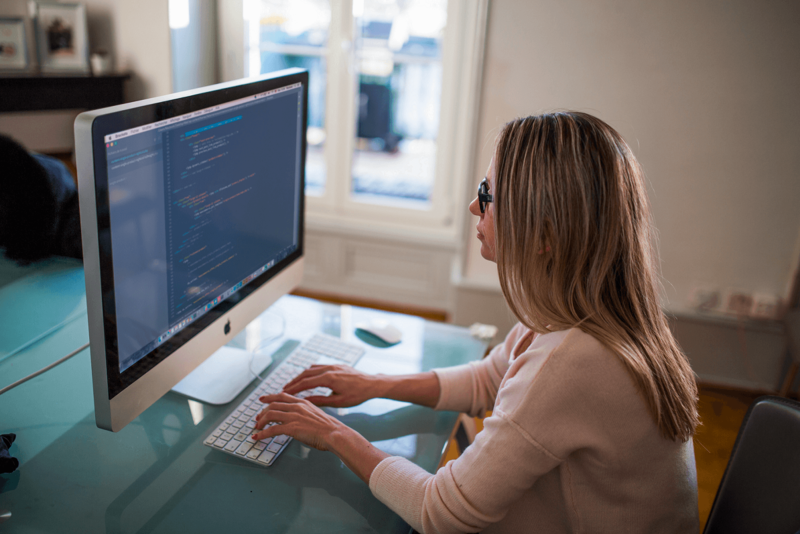 Although both medical billers and coders are important to a provider’s bottom line, you will need to know the difference between medical billing and coding if you are planning to pursue a career in healthcare. Medical billing and coding professionals play a critical role in the reimbursement cycle to ensure that providers get paid accurately for the services they provide. And since billers and coders share a close working relationship in healthcare, educational programs often combine both topics into one program. By doing so, it gives the individual a big-picture look at how it all works together. However, billing and coding are two separate professions, and often the individuals work in two separate areas. Only in a small office will one individual or group of individuals be responsible for both the medical billing and coding functions. Medical billers process insurance claims so that physicians and staff get paid for the services rendered. They use medical billing software to create a claim after the codes have been entered into the system. They also communicate with patients, medical professionals, and insurance carriers responsible for submitting payment. If authorization is required from an insurance carrier before performing a procedure, the billing professional will probably be the individual to call the insurers for a guarantee of payment. They will follow up on overdue invoices by contacting patients, submitting claims to collection agencies, and appealing denied claims. Furthermore, billers discuss with patients their deductibles, copays, and other requirements based on their insurance plan, according to the American Institute of Medical Sciences & Education. Medical coders basically explain what took place during a patient visit. Their job is to review the documentation provided by the physician and translate the information into medical codes. For instance, a patient may be seen for a check-up, or a physician may have ordered an X-ray for an acute traumatic injury. Whatever the reason for the visit, a specific code should be assigned for each diagnosis and procedure or service provided for accurate reimbursement. These codes are assigned based on the national classification system and may be entered into computer software, handwritten notes, or both paper and electronic files. If there is any question as to the documentation, the coder needs to discuss it with staff members or query the physician. Medical billers and coders work in quite a few different settings, including physician offices, hospitals, nursing homes, insurance companies, and dental offices. Since much of the work is done on computer systems, many billers and coders are able to work from home at least one or two days a week, but the experience is usually needed before this can happen. Think of it from an employer’s perspective. They want to make sure the biller or coder can do the job and do it well without constant supervision. After all, the quality of their work determines how the physicians get paid for the services they provide. In addition, the job involves highly confidential information, and this information must be protected. That being said, there are jobs out there where you may be able to work from home right from the beginning. The best thing to do is look around and network. In conclusion, medical billing and coding professionals are essential to the reimbursement process and can have a huge impact on a provider’s bottom line. However, they have different responsibilities. If you are interested in learning more about medical billing and coding and how to get certified, you may want to check out AAPC or AHIMA. And although I do write exam questions for CertificationCoachingOrg (CCO), I still highly recommend them. And I wouldn’t recommend them if I honestly didn’t feel that way. Their CPC Review Blitz is amazing, and I couldn’t have passed the CPC certification exam the first time without them! Thank you, Palak. I’m glad you find it helpful.